Easy to install and customize for any type of Magento theme. Allow install and uninstall without affecting any existing module. Provide a better customer experience. You can get automatically weekly report by setting cron job file. Facility to get total Customer, Sales and Best Selling product. Facility to Send mail of reports results. Compatible with Magento 1.3.x, Magento 1.4.x, Magento 1.5.x, Magento 1.6.x, Magento 1.7.x., Magento 1.7.x., Magento 1.8.x. Let’s face it – if you cannot analyze your current activities using up-to-date, comprehensive reports, you cannot effectively and efficiently conduct business. To assist your company in achieving success in today’s fast-paced, competitive global marketplace, the Advanced Reports extension will be your reporting partner. Not only does this Magento extension allow you to obtain more sales information than ever before, but you can also use the information you cull to better draw conclusions about the status of your business. Whether you want to run reports by countries, hours, days of the week or other criteria, the Advanced Reports Magento module can help you get a complete picture of your business situation. It’s the perfect product to help you maximize your organization’s profitability! 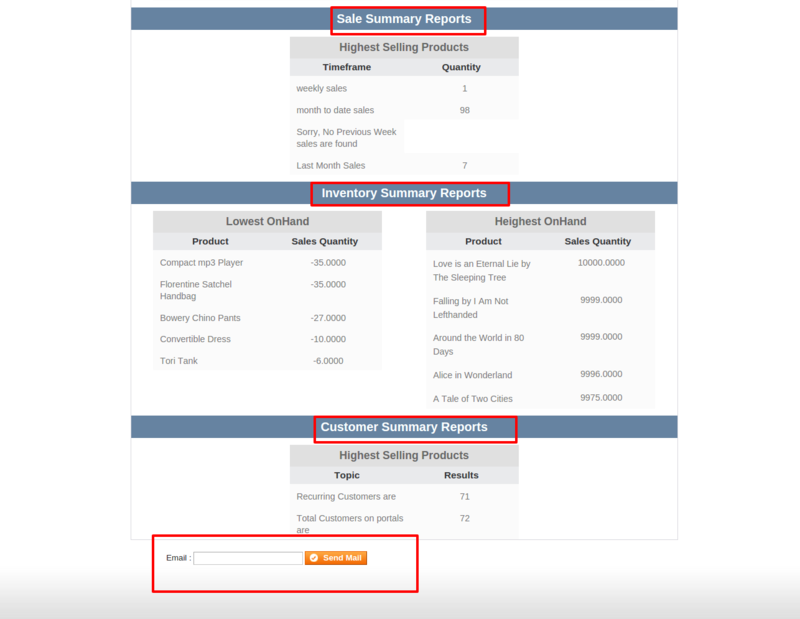 Showing Total Customer, Recurring Customer, Analyze Sales Description, Customize Report by Date Criteria. 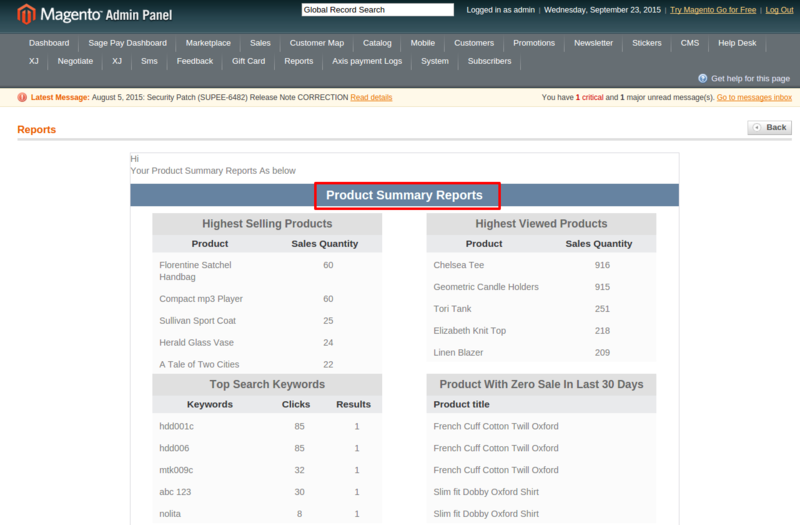 By the use of this report, you can easily get total sales and your best selling products details. The Elsner Advanced Reports allows you to enhance the effectiveness of native Magento reports and creates a complete picture of your Magento to store business position. Elsner Advanced Reports is a unique tool for all your reporting needs.